Chrysler employs about 9,100 people in in Canada. Automakers in the U.S. appear to have survived the industry's crisis in thanks to considerable financial support from the federal government. An injection of $50 billion rescued General Motors Co. And GM continues to make new investments, as the automaker's most recent commitment to the Canadian province of Ontario shows. generation of engines. That's good news for local suppliers. The Canadian and U.S. governments are working hand in hand to secure jobs long-term in Ontario. As a result, thousands of jobs in the province have been safeguarded. Ontario's provincial government participated in the GM rescue package, providing about 2.7 billion euros in aid. Thus, Canada and the province now hold 11.7 percent of the preferred and common stock in GM. together,” said Sandra Pupatello, Ontario's minister for economic development and trade. “We will also do everything possible in the future to bring pro-active investments and jobs to Ontario,” she added.In all, more than 87,000 people are employed in supplier and assembly plants in Ontario. Chrysler also seems to be slowly recovering. The company employs about 9,100 people in Windsor, Ontario. 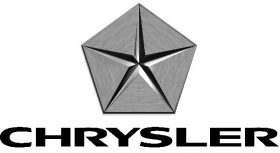 Models such as the Dodge Grand Caravan, Dodge Charger and the Chrysler 300C are built in two Chrysler assembly plants, one in Windsor and another in Brampton, Ontario. Chrysler also has a distinct research and development presence in the region. For example, its Automotive Research and Development Centre (ARDC) was founded in 1996 with U.S. $30 million in seed money. It's a joint project of the University of Windsor and Chrysler Canada and was the first partnership of its kind in Canada. They work together on research projects and tests for automotive initiatives. Alternative drive is one of the areas under investigation. Besides doctoral programs, it has faculties of natural science and the Engineering Research Council of Canada (NSERC), which work on alternative fuels, mechanical engineering design and acoustical imaging systems. The Ontario government also actively supports new investments in the vehicle industry. Over the past three years, automakers and suppliers have invested more than $6 billion. The investment over the last 10 years averaged $2.6 billion a year. Ontario accounts for about 37 percent of Canada's gross domestic product.